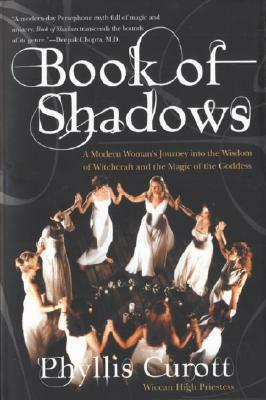 Since Phyllis Currot first published Book of Shadows, the story of her spiritual journey and initiation as a High Priestess in the Wiccan community, Witchcraft has captured America's imagination as a theme for fiction, television shows, and films. Now America's highest-profile Witch returns to dispel more myths and misrepresentations of her faith, and to share a practical guide to the beautiful spiritual rituals and philosophies behind Wiccan tradition. Rich with enchanting stories from Currot's own experiences and detailed advice for creating potions, working with Nature, and finding the Divine within, Witch Crafting is much more than just another superficial recipe book. Curott's unique guidebook integrates the inspiration of religious wisdom with sound, practical information. Witch Crafting reveals how to: incorporate Wiccan practices into your daily life; master the secret arts of effective spell casting; create sacred space and personal rituals; perform divinations for insight and success; and tap the magical power of altered states, such as dreaming meditation, prayer, and trance. Perfect for beginners or seasoned practitioners, Witch Crafting is the ideal handbook for anyone seeking to unlock the divine power that makes real magic happen, and to experience the power and gifts of the universe more fully. Wiccan high priestess PHYLLIS CUROTT is an attorney and author of Book of Shadows (Broadway Books, 1998). Currot was named one of the 10 gutsiest Women of the Year 1999 by Jane Magazine. She has been profiled widely in the media, lectures frequently, and is widely respected for her work promoting civil rights and religious freedom. She lives in New York City. "This is destined to be a classic. The book is practical while maintaining that Wicca and magic are spiritual paths with a connection to the divine. I can honestly recommend it both for novices and the advanced alike." "A modern-day Persephone myth full of magic and mystery, Book of Shadows transcends the bounds of its genre." "An emotionally satisfying, riveting read, arguably the best--certainly the most unusual--memoir of the year. One might even be tempted to call it 'bewitching.'" "An engaging memoir of magic and self-discovery . . . [Book of Shadows] presents some fine insights into the role Witchcraft plays in the complex milieu of American religion." "Wise words from a smart and savvy priestess of the Goddess; the writing is beautiful, the rituals deep and compelling."